Terry Pratchett and Neil Gaiman are two of Britain’s most beloved authors, and they’ve both proven their writing skill with the likes of Pratchett’s hugely successful Discworld novels and Gaiman’s Sandman comic series along with novels such as American Gods and Coraline. The idea of two great artists coming together to work on a project sounds great but, as numerous super-groups have shown, too many cooks can spoil the soup, and having more than one visionary can cause egos to clash. 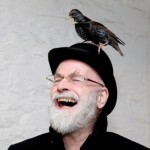 Regardless, in the late 80’s, Pratchett and Gaiman began developing Good Omens, which was released in 1990. 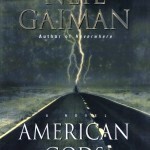 The books proved to be a huge hit for both writers and, were you to Google a list of either Pratchett or Gaiman’s finest books, you’d be hard pressed to find a list that doesn’t include Good Omens. 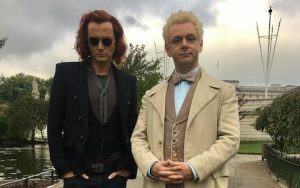 The book follows an angel named Aziraphale and a demon named Crowley who, after more than a millennia of working their good and evil on Earth respectively, have become rather good friends. They both enjoy rather comfortable existences on Earth, and are rather put out when they discover that the End Times are nigh and the Rapture is soon to occur. With the forces of Heaven and Hell primed for all out war, Aziraphale and Crowley work together in an effort to try and stop, or at least postpone, the inevitable. The End Times are heralded by the birth of the Antichrist, and Aziraphale and Crowley both begin interfering with the boys life in order to, shall we say, make him a more adjusted individual. However, unbeknownst to the two, the Antichrist was in fact mixed up at birth and the real harbinger of doom is actually being raised by a normal family in rural England. Despite his normal upbringing, the boy’s powers begin to manifest and it’s up to Aziraphale, Crowley, two bumbling witch hunters, and the descendant of a 17th century witch who wrote a book called The Nice and Accurate Prophecies of Agnes Nutter, to save the day. 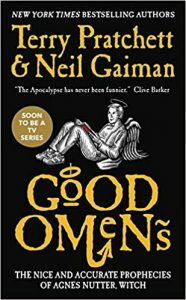 I’ve enjoyed both Terry and Neil’s work before I began reading Good Omens and I have to admit that I was a little concerned that the book might feel a little disjointed, given that it was written by two great but distinct writers. I wondered if maybe one chapter might feel very much like something Pratchett would write, only for it to be followed up with something vary Gaiman in nature. It’s not often two famed writers come together to create a single book and there’s probably a pretty good reason for that. I was pleased to discover that the book in now way feels schizophrenic in its tone and I honestly couldn’t tell from one chapter to another who was currently in charge of the pen. 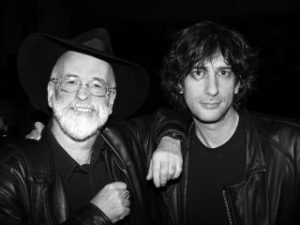 In a short interview at the end of the book, both Pratchett and Gaiman reveal that they struggle to remember who wrote what or which author came up with what ideas and I think that’s evident by how consistent the book feels in its tone. Most books about the apocalypse don’t tend to be very amusing, but that’s certainly not the case when it comes to Good Omens. 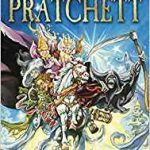 Fans of Pratchett’s tongue-in-cheek humour found in his Discworld novels will be pleased to find it again here, though I enjoyed how that is also balanced with the occasional bit of darkness that was no doubt provided by Gaiman, though as I said, the lighter and darker aspects never felt like they were clashing with one another. 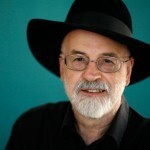 As you would expect from a book written by two British authors, Good Omens is brimming with that distinct British humour found in Pratchett’s work. In fact, it’s so incredibly British that the book contains the occasional footnote to clue overseas readers in on some of the jokes that only British readers might appreciate. This may be the end of the world, but we’re viewing it all through a very British lens. 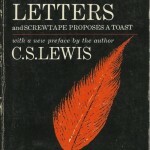 The book’s main characters may be Aziraphale and Crowley, but there are several subplots which are equally amusing. We get to watch the Antichrist being raised in an idyllic town in England which manages to subvert many of his End Time urges with its overbearing quaintness. We follow the Four Horsemen of the Apocalypse, War, Death, Famine, and Pollution (He took over after Pestilence quit following the discovery of penicillin) as they saddle up on their motorbikes for one last hurrah, and we go back in time to the 17th century to a witch named Agnis Nutter who foresaw all this and wrote a book of nice and clear prophecies to help her descendants avert the Rapture. As enjoyable as the subplots and side characters are, it’s easily Aziraphale and Crowley who steal the show. Despite being the complete polar opposites of each other, they enjoy one another’s company as they’ve each served their masters in helping or hindering the world. Despite being an agent of Satan, there’s something undeniably likeable about Crowley and, in fairness, his crimes against humanity ar mainly cold callers and traffic. With Pratchett’s passing in 2015, it seems unlikely that we’ll ever see a sequel, but I’d be eager to read more misadventures featuring these two supernatural beings. However, Amazon has teamed up with the BBC in order to create a mini series based on the book that will feature David Tennant as Crowley, Michael Sheen as Aziraphale, and a supporting cast that includes the likes of Jon Hamm and Nick Offerman. Good Omens more than lives up to its reputation and I just wish I’d managed to get around to it sooner. It’s bursting with classic British humour, but also raises some rather thought provoking meditations on humanity and the nature of good and evil. 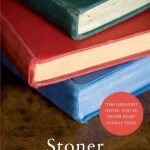 This is one I can easily recommend and I look forward to giving it a re-read.